Massimo D’Alema, who was prime minister of Italy from 1998 to 2000, was born on this day in 1949 in Rome. He was the first prime minister in the history of Italy, and the first leader of any of the NATO countries, to have been a Communist Party member. After studying Philosophy at the University of Pisa, D’Alema became a journalist by profession. He joined the Italian Young Communists’ Federation in 1963, becoming its general secretary in 1975. 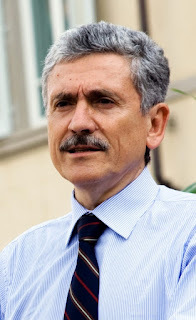 D’Alema became a member of the Italian Communist Party (PCI), part of which, in 1991, gave origin to the Democratic Party of the Left (PDS), and, in 1998, to the Democrats of the Left (DS). D’Alema has also served as the chief editor of the daily newspaper, L’Unità, the official newspaper of the Communist Party. In October 1998, D’Alema became prime minister of Italy, as the leader of the Olive Tree centre left coalition. While his party was making the transition to becoming the Democratic Party of the Left, D’Alema stressed the importance of the party’s roots in Marxism with the aim of creating a modern, European, social-democratic party. He was appointed deputy prime minister and minister of foreign affairs by Prime Minister Romano Prodi in 2006 and subsequently became president of a political foundation for Italian Europeans and president of the Foundation for European Progressive Studies. Palazzo Chigi, the official residence in Rome of the Prime Minister of Italy, was occupied by D’Alema between 1998 and 2000. It is a 16th century palace in Piazza Colonna, just off Via del Corso and close to the Pantheon. 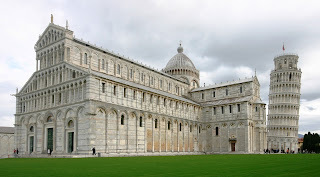 Massimo D’Alema is one of several Italian prime ministers to have attended the University of Pisa. Situated in Lungarno Pacinotti in the centre of Pisa, close to the Duomo and the famous Leaning Tower, the university was founded in 1343 by an edict of Pope Clement VI and is the tenth oldest in Italy.